Apply Online Now — and Start Practicing! Calling soloists and ensembles—all instruments and voices! The Junior Bach Festival hopes all will be well represented during our 66th year in 2019. Festival auditions will take place in Morrison Hall at UC Berkeley during the weekend of February 2–3, 2019. 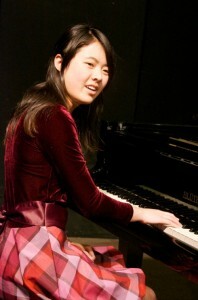 A panel of professional musicians will judge each audition and write constructive comments for each soloist or ensemble. All auditions except vocal auditions will be judged anonymously, from behind a screen. Judges’ comments will be mailed to teachers, who may then share the comments with their students. Students who pass their auditions will be invited to perform in a public Junior Bach Festival concert. Ten to twelve Junior Bach Festival concerts will be scheduled during the weekends of March 22–24 and March 29–31, 2019. Music students under the age of 19 as of February 1, 2019 are invited to apply on any instrument. However, if you are over 19 and still in high school, you may still participate. Keyboard accompanists, gambists, vocalists, harpsichord players and organists may be as old as 20 years. Audition repertoire must be composed by J.S. Bach and also have a BWV number. Transcriptions that reproduce the originals while adapting the music to another instrument or group of instruments are allowed; arrangements that modify other aspects of the music are not. Works are to be memorized except in the case of ensembles or concertos of two or more players. Solo organists or harpsichordists may also use scores. Audition standards are high. In the past, about one-third of our applicants have been chosen to perform in Festival concerts. Students’ performances should be concert ready at the time of their audition. We encourage online applications via our website, although a paper application form may also be downloaded and mailed in. The application fee per audition is $50.00. Our policy, however, is to require no more than one audition fee per family. Please go to our website, www.juniorbach.org, for detailed information about the Festival and application. On this website, you can also go to our YouTube Channel and see, for your reference and interest, many indexed Junior Bach performances over the past 2 decades. Details about this year’s Workshops and Orientation will be posted on the site as well. Contributions to Junior Bach are always welcome, and are essential to our continued operation. If you feel what we are doing is valuable, please consider going to our website, www.juniorbach.org, and making a contribution online.